Sometimes Foodie: Lime, Coconut, and Sunscreen? What can I say? Project 7 and I are in an unhealthy relationship. They keep burning me with bad flavors, and yet, I keep coming back for more. Since my blogging hiatus I've bought 5 new flavors. I just keep hoping that things will be different...and maybe they will be this time? In my years of infrequent blogging, I've reviewed a lot of Project 7 products. Sixteen to be exact. (Although I think there might be a few I never transferred over from my Tumblr days that fell through the cracks.) 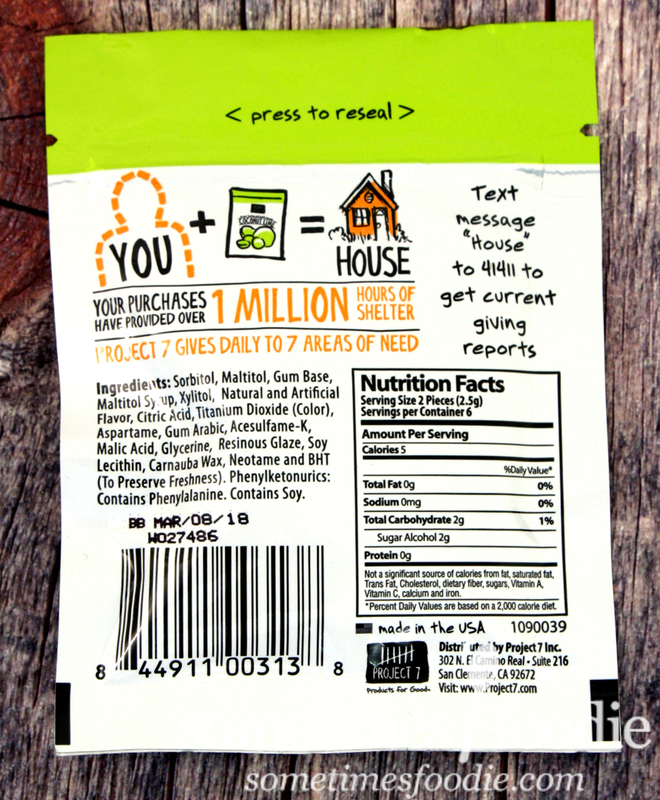 I've watched this company grow from mints and gum, to more gum, gummies, and now Chewies? (Are they like, Skittle-rip-offs?) They're trendy, with a great design team, and they donate to charities, but the one thing holding them back...is the way their products taste. Sugar free is one thing, but a majority of the flavors I've tried over the years taste chemical, extremely artificial, and when they do get it just right, the flavor fades just as fast as Fruit Stripe Gum. (But this lacks the ability to give me cool spit-covered skateboarding zebra tattoos.) Once in a while they'll hit it out of the park with flavors no one else ever offers, like their grapefruit melon, or the unicorn gum my boyfriend's niece fell in love with. Those flavors are proof that they have it in them to be great. Sadly, those shining moments are few and far between. Will today be one of those moments? 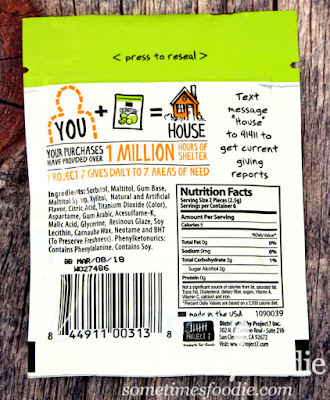 Once opened, the gum smells like plastic, fake sugar, and tropical sunscreen. Whoopie. (She said, sarcastically.) The smell is not great, and it doesn't smell like anything I should consume, but at this point I'm all or nothing. I dumped half the package into my mouth and started chewing. Thankfully, this is one of their better flavors. It's not my favorite, but it's a lot better than it smelled. 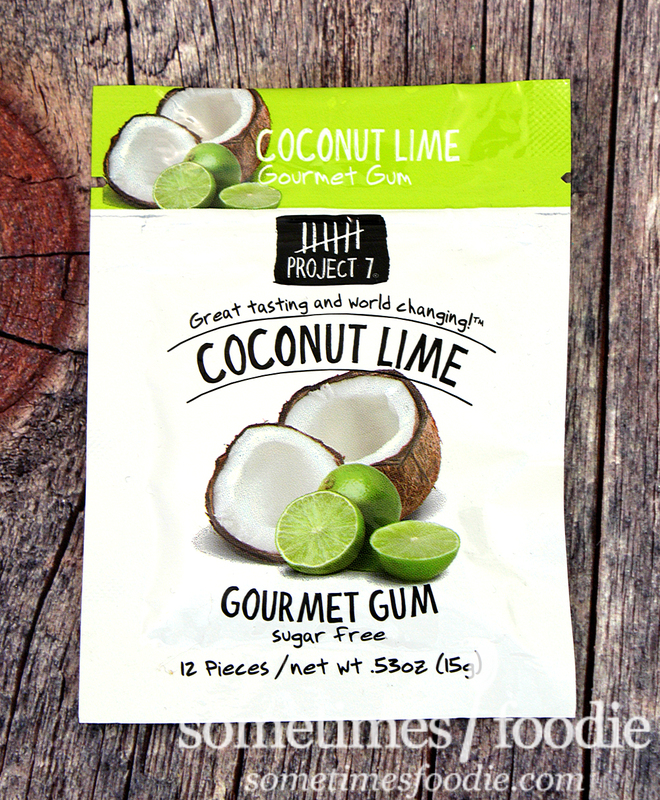 Upon first chew, you get a mild creamy coconut flavor that quickly shifts into a zesty, slightly tangy, but mostly creamy, lime. 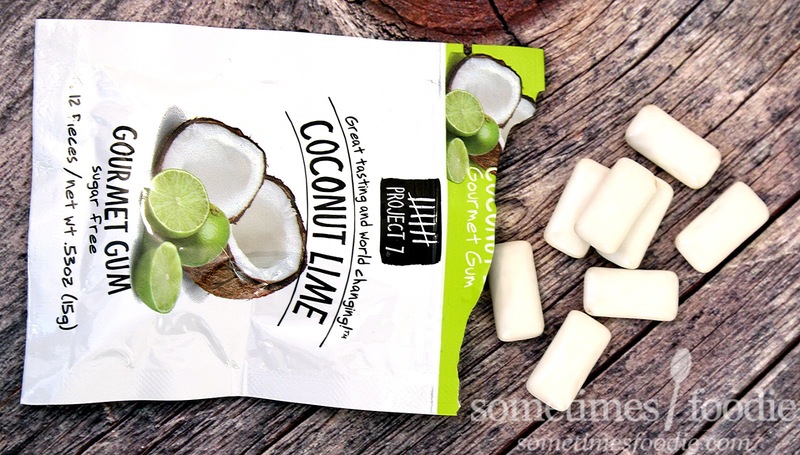 The lime is surprisingly authentic, tasting like the homemade zest-heavy fudge I made this winter and the coconut is ever present in the background with a mild tropical creaminess. 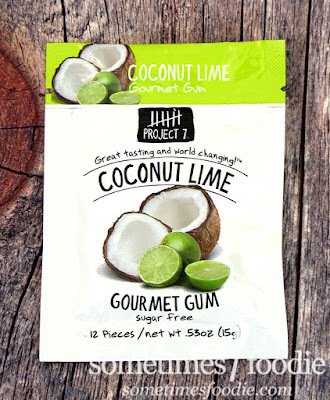 The lime quickly fades, so you're left with a mellow coconut flavor that lingers for 20-30 chews or so before the gum becomes a stiff, rubbery, and only slightly sweet coconut-scented eraser. This is yet another flash-in-the-pan flavor, but it's a good ride while it lasts. It's an enjoyable and edible flavor, but I can't say it's anything to write home about. This flavor left me with no really strong feelings one way or the other. I don't think I would buy it again, but I wouldn't turn it down if anyone offered me a piece. If you like lime flavored sweets, and are monitoring your sugar, this could be worth a try, but don't expect the flavoring to stick around.